Gathering to celebrate the birthday of Gary Becker were SORE members, clockwise from left, Larry Laborde, Marty Haas, Ray Harden, Lou Hoger, Charlie Thompson, Lawrence Bice, Andy Bambrick, Doug Latham, Becker and Dale Schumacher. Not pictured is Bob Rounds. 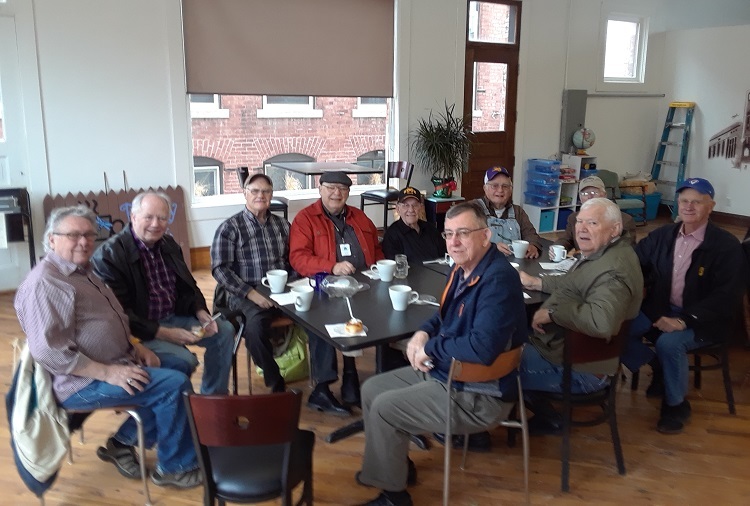 Gary Becker of rural Perry was joined by about a dozen fellow members of the Society of Retired Experts (SORE) recently to celebrate his 73rd birthday with coffee and sweet rolls at the Perry Perk coffeehouse. 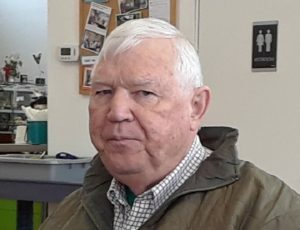 Becker is a stalwart member of several local civic and religious organization, such as the Perry Lions Club and the St. Pat’s Knights of Columbus, but his cheerfulness and collegiality sparkle nowhere more brightly than among his peers in years at meetings of the SORE. Joining Becker on his happy birthday were SORE members Larry Laborde, Marty Haas, Ray Harden, Lou Hoger, Charlie Thompson, Lawrence Bice, Andy Bambrick, Doug Latham, Dale Schumacher and Bob Rounds.